Finally, the clock struck and the audience clapped as Nokia CEO Stephen Elop made his presence on the big stage at the Nokia World event a few hours ago. And a new smartphone was added. The Nokia Lumia 800, earlier known as SeaRay, Sun, Nokia 800 was officially launched by Stephen today. And boy, what a beauty! According to Stephen Elop, it’s the ‘first real Windows Phone’. Powered by an efficient 1.4GHz processor, the curved 3.7-inch ClearBlack LCD display is a visual treat supported by a black, cyan or magenta case. There are clear visible speaker holes along with a dedicated camera button for the f/2.2 8MP Carl Zeiss Tessar lens, unlike N9. As we had earlier reported, this handset is pretty spacious coming aong with 16GB of internal storage plus free 25GB of SkyDrive storage to get the users started in the cloud. The Nokia Lumia 800 also features Nokia Drive, a free turn-by-turn voice navigation program, a first for any Windows Phone, which shall be specially doled out with future Nokia Windows Phone handets. Nokia plans to retail it for US $580. Though nothing has been revealed about shipping it ot the US, but users can pre-oreder it now expect shipment in November if they live in the UK, France, Spain, Germany, Italy, or the Netherlands. In India it is expected to be around INR 29900. More on this here. You can download the Nokia Lumia 800 User Guide, Music Guide, etc from here. For detailed specifications, visit its page on Nokia.com. Nokia Lumia 710 Windows Phone has also been launched. Go here to read about Nokia Lumia 900 and visit The Geeks Club to read about Nokia Lumia 710 Windows Phone. 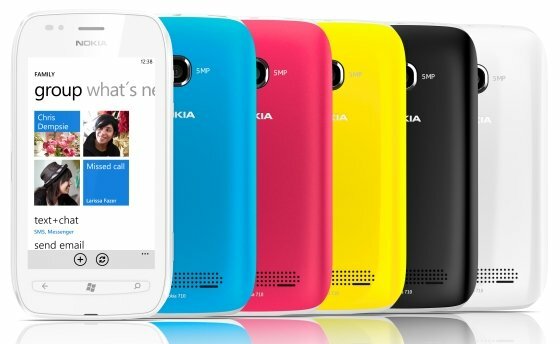 In India, the price of Nokia Lumia 800 is expected to around 32,000 INR and the price of the Nokia Lumia 710 is expected to be around 20,000 INR – and they will be available in December 2011. Which one is right for you? Go here to see the comparision between Nokia Lumia 800 and Nokia Lumia 710. Also check out comparison chart of iPhone 5 vs HTC Windows Phone 8X vs Nokia Lumia 920 vs Samsung Galaxy S III.